According to section 38 of the 1979 immigration act, “House owners, heads of household, landlords or managers of hotels who accommodate foreign nationals on a temporary basis who stay in the kingdom legally, must notify the local immigration authorities within 24 hours from the time of arrival of the foreign national.” If there is no immigration office in the province or locality of the respective house or hotel, the notification is made to the local police station. 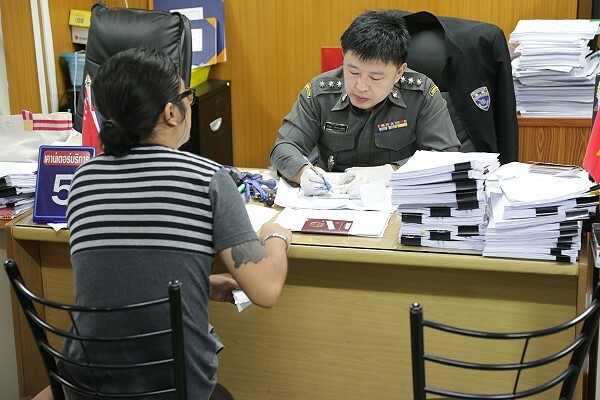 In Bangkok the notification is made to the Immigration Bureau. The notification of residence of foreign nationals is made by the manager of licensed hotels according to the hotel act, owners of guesthouses, mansions, apartments and rented houses using the form TM. 30. Please fill in all requested information according to the foreign national’s passport, as often arriving passengers do not fill in the correct data on the arrival card. The form can be typed or handwritten in clear block letters. Leave a space between name, middle name, and surname.